We drink wine for lots of different reasons. To self-medicate. To celebrate. To enhance a dining experience. Like us, maybe you just love wine. Glasses make a difference. The shape and size of the bowl affect your ability to swirl and oxygenate the wine. Note the shape, plus the beauty of a thin rim and a delicate stem. Be sure to drink red wines cooler than room temperature (chill them for 30 minutes), and drink your whites a bit warmer than the fridge's chill so their aromas aren't suppressed — with the exception of Champagne. Every red also gains from being decanted or poured through an aerator; it's not necessary for whites. Tilt the glass away from the face and hold it over a white tablecloth or napkin, noting the wine's colour. 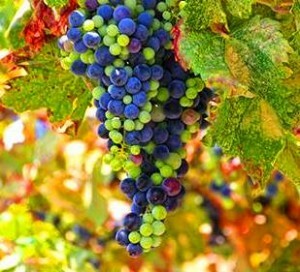 Pinot Noir will be light and garnet; Shiraz will be an inky purple; and older wines will take on a warmer orange edge. With the foot of your glass on the table, swirl the wine so it rises up on the side of the glass. Watch the tears (or legs) that form and drip down. They'll give a hint as to the mouthfeel. Our olfactory senses are exponentially more sensitive than our taste buds. As the wine evaporates from the side of the glass, it releases flavour messages. Revel in these smells. Do it twice and think about specific aromas each time. You'll often hear ripe New World wines described as "fruit forward." That's generally because the lush fruit is their outstanding characteristic. Draw in some oxygen through the side of your mouth. Great wine will almost explode as it enters and develops secondary or tertiary flavours across your tongue. Everyday wines will display only a single profile. Does the taste match the aroma? How does food change your impressions? 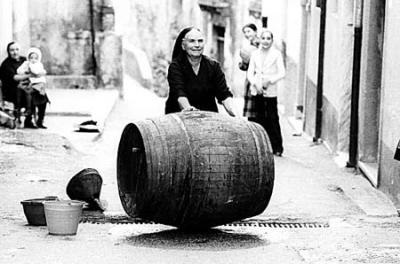 Great wines linger while simple wines die. A classic has a finish that almost refuses to die, and the great pleasure is to savour each wonderful sip for minutes. For most of the wines we drink, there's a single impression as we swallow and the taste ends. It may or may not match the flavours on our palate. Lesser wines may show a slight bitter finish. If we follow above, maybe the rest of our wine-drinking life will be immeasurably elevated or not but then having a bit more knowledge is no bad thing. ENJOY. Love the wine with and when? What to drink… with your lover? Because your true love deserves the best attention, you need a wine perfectly balanced to impress. Here comes Bordeaux! Indeed, a Bordeaux is almost always a blend of grapes that include Cabernet Sauvignon, Cabernet Franc, Malbec, Merlot, and Petit Verdot. Thanks to these subtle and spicy grape varieties, you cannot go wrong. White or red, you choose. What to drink… after work at a rooftop bar? The idea is to relax, forget work and have a good time with some friends, so probably we will choose a white light wine. What to drink… with your favourite TV show on Valentine's day? Valentine's day often rhymes with celebration or is a good excuse for celebration. Therefore, a nice bottle of Champagne, brut or rose, will be advisable. For a glamour touch, the rose offers a good blend of sweetness and fine acidity. What to drink… at dinner with friends? Bring with you a bottle of Cabernet Sauvignon and Merlot blend. Don’t forget friends who are not accustomed to strong wines: take a Viura or Voignier white wine and everybody will love you. What to drink… at your best friend’s birthday? Bubbles and popping corks are a must. Champagne is the most common sparkling wine related to celebrations, but a semi-sparkling Blancs de Blancs or an Italian Prosecco are great fruity choices that let you to celebrate in a different way. What to drink… on a date? A couple enjoying a romantic night might plump for a fruity warm red wine while a pink rosé will be also a great and tempting choice to create a special atmosphere. What to drink… when you’re home alone on WineWednesday? Give yourself a treat and open that bottle of wine you always wanted to! How about an Argentinian Malbec, or another New World wine to enjoy your relaxing evening alone? What to drink… during the day? We usually prefer lighter wines, younger, fresher-tasting and lower in alcohol (especially if you’re enjoying a liquid lunch!). Perfect matches would be an Italian Prosecco, a Maubet, a Verdejo or Viura, or a Sauvignon Blanc from New Zealand. What to drink… near the end of the day? Our preferences tend to change, preferring heavier and stronger wines, usually aged and full-bodied, higher in alcohol, deeper in colour and complex in tasting. If the night is on, surely we will choose a Shiraz from Australia, a Tempranillo from Rioja, a French Cabernet Sauvignon, a Chilean Chardonnay, or, if we want something fortified, a Portuguese vintage-style Port. What to drink… when the weather is hot? The types of wines people tend to drink when the day is sunny and the temperature rises are chilled, paler in colour and refreshing. What to drink… when the weather is cooler? An opulent wine or a strong, red fruit flavour and warming red wine would be a great choice for colder days. What to drink… when you have meat for lunch? Red wines with black fruit flavours and aromas, and assertive tannins like Shiraz, Merlot, Tempranillo or Cabernet Sauvignon. What to drink... with fish and chips? Yes, white wine is the answer. That’s because most fish need a wine with high acidity in order to pair well with it. Choose a Spanish Albariño or a French Muscadet and you will have it. If the fish is stronger, a Chardonnay will match perfectly. The wine tasting method is a simple process that will help you identify specific characteristics of a wine while tasting it. The tasting method splits a wine tasting up into 3 physical senses we use to experience wine. Hue and Intensity: Identify the wine’s most prominent colour as a point of reference. Tears/Legs: When you swirl the wine, you will see tears develop on the sides of the glass. It is is a phenomenon called the Gibbs-Marangoni Effect and it indicates the presence of alcohol in the wine. Increased tearing is an indication of a higher alcohol level. Intensity: Position the glass just below your nose and take a quick, light whiff to judge the intensity. If the wine is highly aromatic, you will be able to smell it quite distinctly. Now position the glass where it’s most optimal for you to smell individual aromas (usually by pulling it back a bit). Fruit: If you’re having trouble identifying aromas besides a strong “vinous” note, try holding the glass farther away from your nose. Identify the type of fruit and also the condition of the fruit. For example, if you detect strawberry, ask yourself: is it fresh, ripe, or dried? A good goal to set is to attempt to identify 3 fruit aromas before moving on to other smells. Herb/Other: Note all the other aromas you smell in a wine that are not related to fruit. 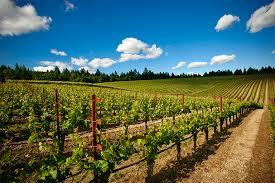 You’ll notice that some wines are distinctly more savory and have notes of herbs, flowers, and even minerals. By the way, no answer is wrong, notes in this category can include things like black pepper, espresso, balsamic, petroleum, and beeswax. Oak: If the wine has aromas of vanilla, coconut, allspice, chocolate, cola, and cedar or cigar, it’s likely to have been aged in oak barrels. Aging wine in oak causes some flavor compounds from the barrel to transfer into the wine. Different species of oak trees affect flavors differently. For example, American oak (Quercus alba) tends to add more dill and coconut aromas whereas, European oak (Quercus petrea) tends to contribute aromas of vanilla, nutmeg, and allspice. Earth: When you taste earthiness in a wine, note whether it tastes organic (loam, forest soil, mushroom) or inorganic (slate, chalk, rocks, dried clay). These aromas, while still unexplained scientifically, offer more clues to where the grapes were grown. 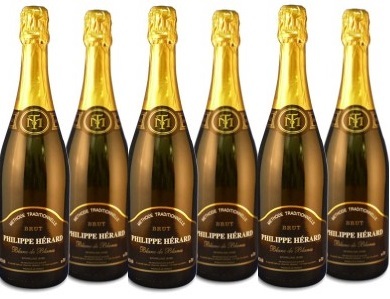 For example, wines from Burgundy and Champagne often have subtle, organic, mushroom aromas. A lack of earthy aromas also helps to identify (or narrow down) a wine’s potential origin. How we taste wine with our noses? When you taste a wine, you’ll focus on flavours and feel (how the wine feels on your palate/ in your mouth). Make sure you swish it around in your mouth to get the full effect before swallowing. Sweetness: Sweetness in wine is primarily from grape sugars that are leftover after fermentation, which are referred to as residual sugar (RS). Of course, our human perception of residual sugar in wine is influenced by the other characteristics in the wine, particularly acidity. Sweetness is less perceivable in wines with higher acidity. See the sweetness levels in wine. Tannin: (for red wines) Tannin is a polyphenol (antioxidant) found mostly in red wine. Tannin tastes astringent and gives a drying sensation felt on your tongue. High tannin wines will grip the insides of your lips to your teeth. Tannins can taste bitter, but mostly, they are astringent and can be described like sandpaper: fine, medium, gritty, or grippy. Acidity: Acidity is the level of sourness in wine. Acidity makes your mouth water. Low acid wines generally taste round or even flabby and high acid wines taste lighter in body and very tart. Understand how acidic wine is compared to over beverages. Alcohol: Alcohol is felt in your throat as a warming sensation. With practice, some tasters can estimate the alcohol level within a 10th of a percent. Alcohol adds to the overall body of wine. 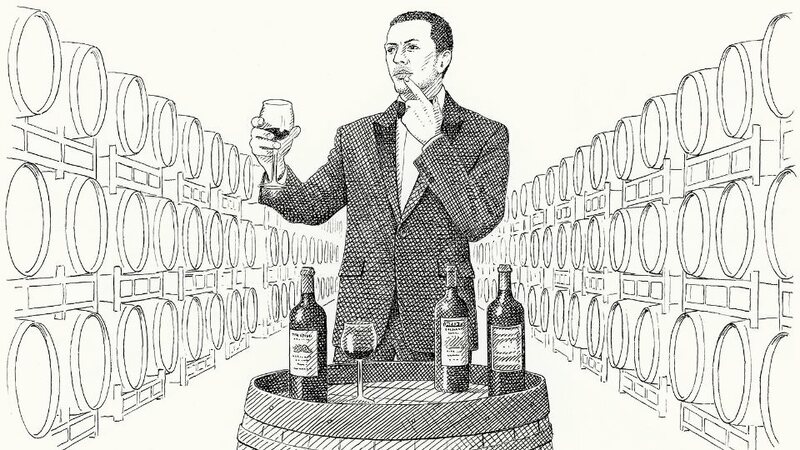 Overall Body: All the traits mentioned above come together to give you a sense of the wine’s body, which is essentially a measure of how bold it tastes in your mouth. Ask yourself if the wine is light, medium, or full bodied? Additional Flavours: Are there any flavours you can identify while tasting the wine that you didn’t identify in its smell? Take note! After you’ve tasted the wine, now you have the opportunity to consider the wine’s quality. Is the wine in balance? Wines that are “in balance” have tastes that are balanced between one-another including acidity, tannin (if it’s a red), and alcohol level. While different wines have different intensities, a quality wine will be in balance with itself. Copyright 2018 Moorwine. All Rights Reserved.